Does USC need a cultural shift when it comes to addressing mental health? The Office of Religious Life is trying to eliminate the stigma of seeking help. "I do not want to do any more memorial services," Reverend Jim Burklow said. As the Associate Dean of Religious Life at USC, Burklow is responsible for performing the memorial services for students who have committed suicide. "It's devastating and personally painful to me." There are more than 1,000 suicides on college campuses per year, according to a report by Emory University. The American Psychological Association says there is a growing mental health crisis across U.S. college campuses—and at USC, things are no different. The tragic death in December, 2016 of psychology Professor Bosco Tjan, who was fatally stabbed in his office by a graduate student, put the issue of mental health on campus front and center, resulting in the formation of the Office of Campus Wellness and Crisis Intervention. 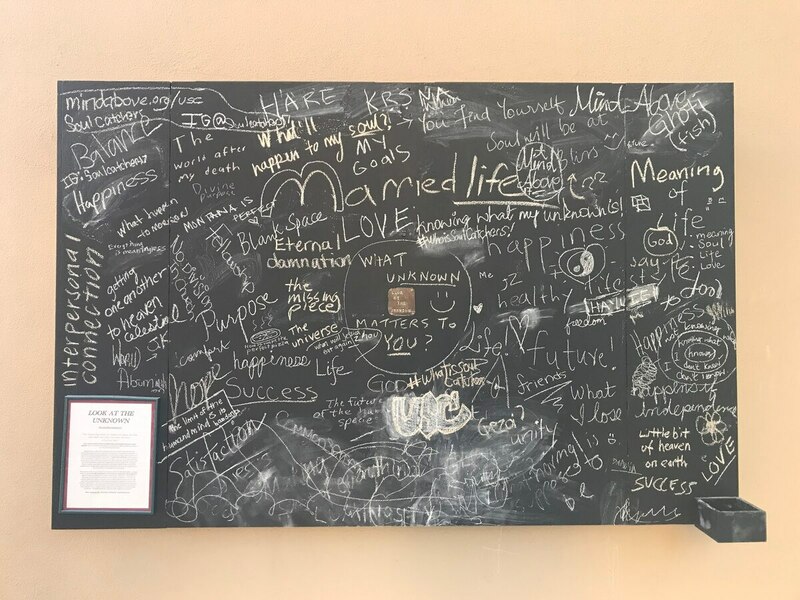 It joined other established university resources for mental health such as the Engemann Student Health Center, which offers counseling services and a program called Mindful USC, which provides popular classes that train students to practice mindful meditation as a way of promoting mental wellness. Despite the many campus organizations, initiatives and resources available to students, Burklow said university culture surrounding suicide and mental health is what really needs improvement. He says silence usually follows these incidents, and people don't want to bring up what happened. "We have to change the culture so that students feel like waking up tomorrow is a good thing to do," Burklo said. "There is a certain amount of 'sweeping under the rug' that happens when these incidents occur, which is particularly frustrating. We need to take away the shame and stigma, and talk about it out in the open." Stephen Gasper, a USC freshmen, discovered first hand how the university deals with mental health issues when his twin brother, who was also his roommate, suddenly suffered from a mental breakdown at the start of this school year. "He felt alone, felt he had no one to talk to, like he couldn't make friends," Gasper said. "It was hard. He couldn't really focus on his school work or focus on classes. He couldn't be himself." Gasper said he's thankful for USC and the way the university stepped in. Their resident adviser suggested visiting Engemann, where his brother was able to see a therapist and a psychologist. He said he's doing great now, and is planning on taking a gap year before returning to campus. The experience made Gasper think differently about mental health issues. "I'm thinking about going to therapy, too," he said. "Even though I feel happy, it's just a good [idea] to have someone to talk to." Like Gasper, Selena Seay-Reynolds says it took a personal experience for her to know how helpful the university could be in dealing with students' mental health issues. After a friend suffered a mental breakdown last semester, teachers ensured she got the help she needed, which resulted in hospitalization. "I know that USC says that they stand for mental health and they have all these services and everything, but teachers can be less than understanding when it comes to actual practical situations," Seay-Reynolds said. "Seeing that these teachers were so willing to help her and put everything aside for the sake of her mental health was really, really great to see and made me feel a lot less scared should I have any problems." But students shouldn't need such a close encounter with mental health problems to know the kind of services and resources USC provides. As Reverend Burklo explained, investing in creating a greater sense of community on campus would make students struggling with mental health problems feel comfortable coming forward sooner, and thus help with prevention. "Certainly one of the factors in mental health and resilience of students is a sense of belonging, belonging to a community where people are paying attention and care," Burklo said. "I am convinced that that is a very important and significant means of preventing suicide." The Undergraduate Student Government (USG) voted 9-3 in favor of changing the phone numbers on USCards on Tuesday night. 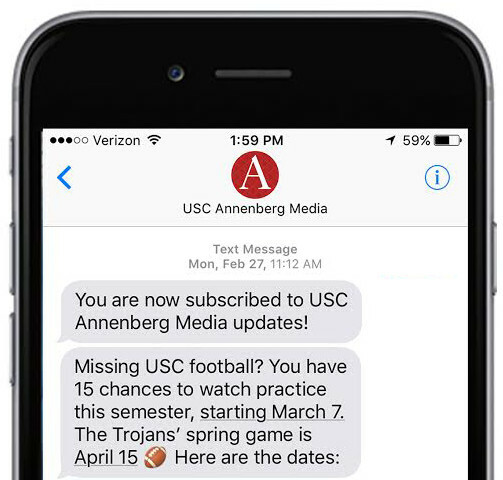 According to the Daily Trojan, three numbers will be added: "the Department of Public Safety emergency number, the Crisis Intervention Center and the USC 4-1-1 hotline." USG's move is intended to provide students with assistance during times of need. The Engemann Student Health Center is committed to helping USC students 24/7. If you or someone you know is in need of help, you can make a crisis appointment by calling (213) 740-7711, or reach the Office for Wellness and Health Promotion at (213) 740-4777.